The space behind your eardrum, called the middle ear, contains many small bones that pass vibrations to your inner ear. If the space between those bones fills with fluid, it puts painful pressure on the inner ear and allows bacteria to grow and cause infection. Ear infections occur most commonly in infants and children because the inner workings of their ears are smaller and their immune systems are weaker. But they can also affect adults. Symptoms include ear pain, difficulty hearing, difficulty sleeping, fever, drainage of fluid from the ear, vomiting, and loss of appetite. You’re about to learn how to cure ear infections safely, naturally, and affordably. The methods listed below can be used for adults and children. Garlic has anti-bacterial properties which help cure ear infection, and it also relieves swelling and pain. Wrap crushed garlic in small cloth. Stuff the cloth in your ear. Puree garlic and wrap it in a cloth. Pour the liquid into the ear. Heat 1 teaspoon of mustard or sesame oil. Mix in 2-3 cloves of garlic. Apply it around and inside your ear. Note: You can pour few drops in the ear. Boil 2-3 cloves of fresh garlic in water for a few minutes. Crush them and add salt to it. Mix well and wrap them in a clean cloth. Press it against the infected area for a few minutes. Onions have anti-bacterial and anti-inflammatory properties that heal infection while soothing and calming symptoms. Bake your onion for 15 minutes. Once cooked, let your onion cool. Squeeze the onion to extract juice. Use a dropper to apply the juice to your ear. Tilt your head sideways for a few moments. Bake an onion for 30 minutes. Cut it in half and wrap one half in a cloth. Place against infected ear for 5 minutes. The acidity of white vinegar is toxic to the micro organisms that cause ear infection. It prevents growth and reproduction of micro organisms within the ear canal. Place 3-4 drops of white or apple cider vinegar in the infected ear. Lie on your side and plug your ear with a cotton ball so the vinegar drips deep into the ear canal. In a bowl, mix equal quantities vinegar and warm water or vinegar and hydrogen peroxide. Use a dropper to put the solution in your ear. Plug your ear with a cotton ball and lie on your side. Tea tree oil has mild anti-bacterial properties which relieve pain while curing the infection. Mix 3 drops of tea tree oil, 2 tablespoons of olive oil, 1 teaspoon of colloidal silver, and 1 teaspoon of apple cider vinegar. Use a dropper to put some in your ear. Lie on your side for 5 minutes, then lie on your other side to drain the solution from your ear. Steam opens the Eustachian tubes (airway link to the throat), helping to ease pressure and drain fluids out of the ear. Boil water and add a few drops of eucalyptus oil to it. Put a towel over your head and lean over the pot. This method cleanses and disinfects, killing the bacteria that cause ear infection. Crush a few fresh basil leaves to extract juice. Rub the juice into your ear. Mix a few drops of Holy Basil Oil with a equal drops of coconut oil. Use a cotton ball to apply the mixture inside, around, and behind your ear. Heated salt relieves irritation and pain. Heat 1 cup of salt in a microwave or pan for 3-5 minutes. Place heated salt in cloth or sock and tie the open end. Check the heat before placing near the ear. Press cloth against infected ear for 5-10 minutes. The heat will draw moisture out of the ear and the salt will soak it up. Note: you can replace the salt with rice. Olive oil relieves irritation in the inner and outer and helps to open up the Eustachian tubes. Pour few drops of warm oil inside the infected ear to soften infected wax. Use a cotton ball to remove wax from the ear. Note: you can replace the olive oil with mustard oil. Note: apply oil to the outside of the ear if you have a perforated ear drum. Lemon balm has antiseptic and anti-viral properties that help cure infection. Apply lemon balm to the inside of the infected ear. Mango leaf acts as a natural antibiotic and used to treat ear infection. Crush or grind 3-4 fresh mango leaves to extract juice. Use a dropper to pour few drops in the infected ear. A warm compress will help open up the Eustachian tubes and relieve pain. Soak a clean cloth in warm water. Wring out excess water and place it to your infected ear for 5 minutes, then take it off. Again place it and then take it off. Make sure you don’t over heat your water. Note: you can also use a hot water bottle or heat pad. Mullein flower oil relieves the pain of ear infection. Soak a cotton ball in a few drops of Mullein Flower Oil. Stuff the cotton ball in your infected ear. Repeat whenever your ear hurts. Breast milk contains antibiotics that boost the immune system and protect your baby from infection. Breast fee your baby for 6 months to strengthen her immune system. If you can’t breast feed, make sure to hold your baby in an upright position while bottle feeding. Use a dropper to apply breast milk to the infected ear twice a day. A healthy diet that includes the foods mentioned below will help heal and prevent ear infection. Ginger has anti-inflammatory properties. Use it raw, cook it into tea or soups, mix it with juice, or eat it with apple or carrot. Turmeric has anti-inflammatory and antibiotic properties. Use it to spice up your cooking. Eat foods that contain vitamins A and C in order to boost your immune system. Drink plenty of water to thin secretions and help them drain more effectively. Wash your hands often, especially after using the bathroom and before eating. Take measures to prevent common cold, allergies, and respiratory problems. Teach children to cover their mouths when sneezing or coughing. Keep children away from those who have ear infections. Ask your doctor about flu shots and pneumococcal vaccinations. They prevent ear infection. Avoid pacifiers. They spread the bacteria that cause ear infection. Clean outside your ear with a cotton swab regularly. Pour few drops of hydrogen peroxide to the ear to kill infection and remove excess fluids. Take probiotics to promote proper digestion. Yawn to open up the Eustachian tubes. 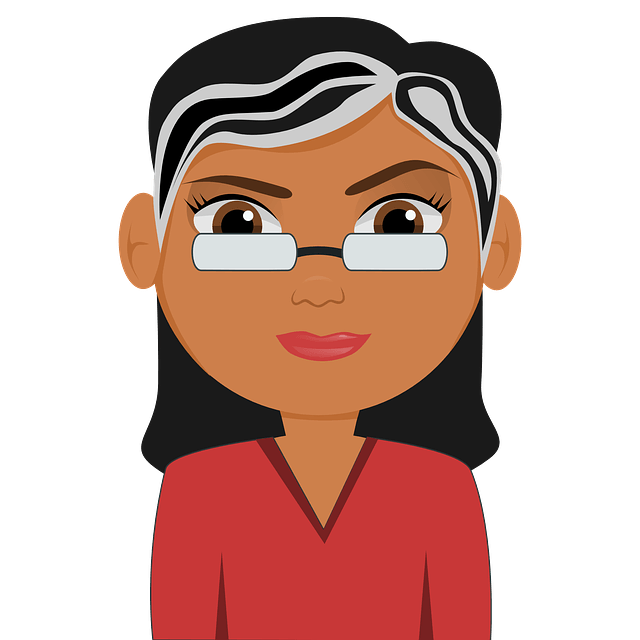 Never take antibiotics without the guidance of a healthcare professional. If your infection or your child’s does not heal within 3-4 days of using the above remedies, consult your doctor. 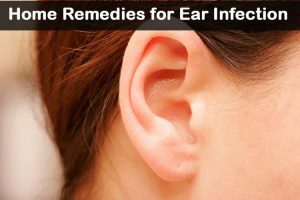 Have you tried any of the above home remedies for ear infection? Do you know of any we haven’t mentioned? Share your experience with us! Are you interested in home remedies for plugged ears? Let us know in the comments below! It is recommended to consult the doctor right away to know the exact reason behind the problem. Beware of squeezing raw garlic juice in your ear. I just did it and it was the most painful thing I’ve ever felt in my life. Had to jump in the shower and try to rinse it out to relieve the intense burning. Although it hurt terribly, an hour afterwards, it doesn’t hurt to the touch like it did before. My ear still feels clogged but I think the garlic may have helped. I recommend using only 1 to 2 drops and to mix it with water before putting in the ear. Good luck! How much garlic juice did you use? Did you have to hop around the house to get the access juice out? Make sure you aren’t allergic to Mangoes before putting mango leaf juice in your ear! Vaccinations can cause chronic ear infections in children. Yes, hydrogen peroxides helps to clean the inner ear. Pour 2 – 3 drops of hydrogen peroxide into the ear. Plug your ear with cotton ball and lie down by facing the treated ear downwards. For the past couple of weeks I have experienced a torturing itching inside my ear. I am very careful when I wash my hair that water does not get inside. I do often have had to see an ear doctor because of too much ear wax build up, however, I saw the doctor about 6 months ago and said there was no wax. I don’t know what else to do. I have tried inserting my index or my little fingers to scratch it but it felt if my finger nail made a cut. I also have used a Qtip putting on the tip either Benadryl for itch, Neosporin, alcholol, or Hydrogen Peroxide and scratched it affected area to relief the itch and it does for a while but then starts again within hours and now feels totally clogged that I barely can hear. HELP !!!!! We recommend consulting a doctor as soon as possible to get your ear inspected. It can be a sign of seasonal allergies. I literally have no other symptoms except for intense itching of the ears in the spring. Try taking a claritin and see if that helps things. I’ve been having ing an unbearable pain in my ear for the past week. I have tried to go see my doctor but they are out for a doctor convention or something and won t be back till the end of the month. I have antibiotics that help with infection. I just want this pain to stop but idk what I should do. If I put ear drops for pain relief it just gets stuck in my ear and it’s hard to get it out. It hurts so much I can’t smile and I can barely eat. I’ve tried the warm compress in a bottle. Please help me. Try garlic, steam, olive oil, or white vinegar method mentioned above in the article. We recommend consulting a doctor to clear up the ears and infection. I have an ear infection at the moment (otitis media). Someone told me I should crush garlic and rub the paste behind the ears. Is this true?